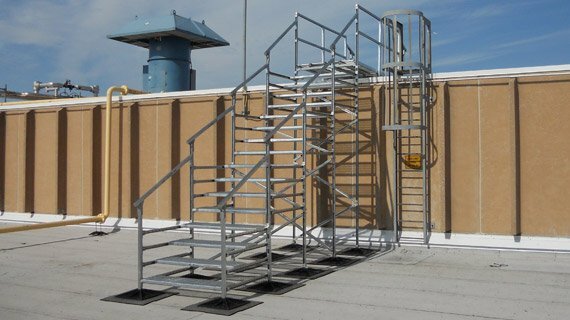 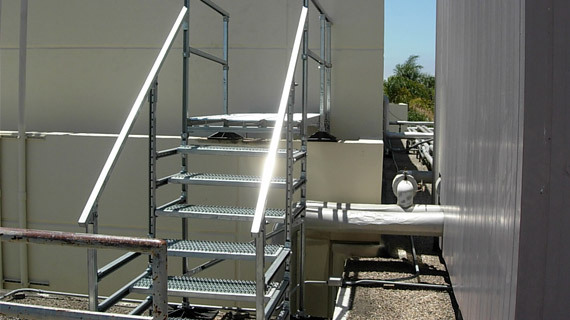 The PHP roof access stair is designed to allow a safe means to access different roof levels or equipment. 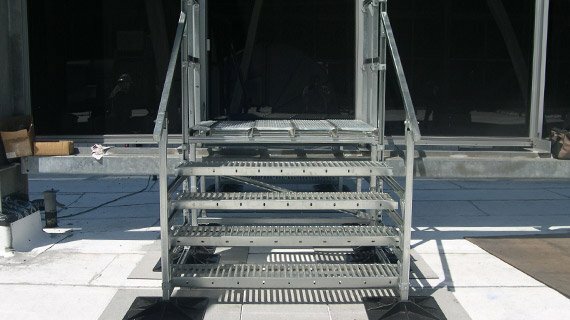 Layout isolation pads according to footprint of stairs. 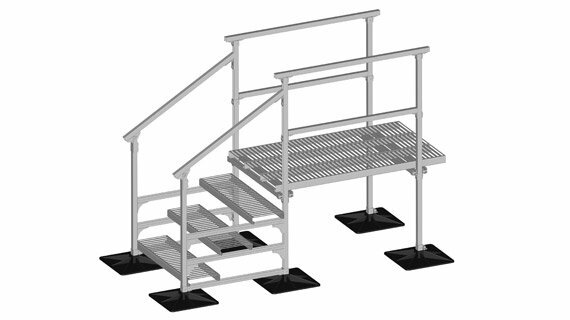 Place substructures in bases according to diagram. 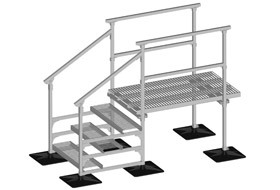 Form stairs by placing planking between each set of substructures, attaching with hold-down clips. 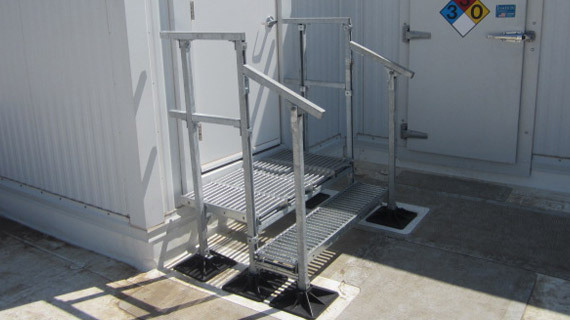 Tighten all nuts, bolts and hold-downs.